Most people are not able to go on vacation for lack of money. Here’s how to save enough to take a much-needed break. Imagine your company is asking you to go on vacation and paying you extra salary during the time you are away. Employees of the Sydney Morning Herald don't have to imagine. Rules say all employees of the Australian newspaper must take a 40-day vacation in a year. What's more, they get paid 50% more for the days they are on leave. The reality in India is starkly different. Taking a vacation is not even an option for many people. There's too much work to do, or not enough in the bank, or maybe children have to attend school or coaching classes. The Expedia Vacation Deprivation Report, 2016, says Indians are the fourth most vacation deprived in the world. An online survey conducted by ET Wealth last month reinforces these unhappy statistics. Two out of three respondents said they were not able to take enough time off, and 28% are unable to take even one yearly vacation. Even those who manage to take time off end up answering calls and checking their mail while on vacation. More than 11% even participate in con-calls while on holiday. Evidently, Indians don't attach enough importance to taking time off from work. They understand that vacations are important but let myriad reasons hold them back from taking time off to unwind. Says Delhi-based psychologist Prerna Kohli, "Most people agree that work-life balance gives them better focus at work. But they are still putting up with it instead of changing it." Do you take enough time off work to go on vacation? How often do you take a vacation? What stops you from taking a vacation? How connected do you stay with work while holidaying? How do you fund your vacations? How do you plan your vacations? What do you think about package tour offers? 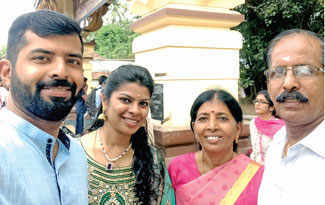 Pune-based Shibani Mahesh is one such professional who has sacrificed many a vacation at the altar of her busy career. 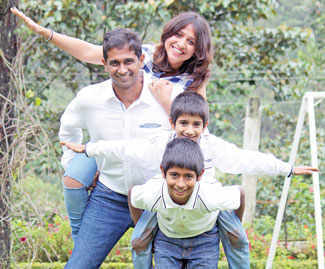 Since she works on most weekends and during holiday seasons, Mahesh finds it hard to make her time off coincide with that of her husband and sons, making it nearly impossible to go on family trips. Most of her shows happen over the weekend or during festive seasons, making it difficult for her to coordinate her time off with that of her husband and kids. But she realises the importance of taking time off from work and has decided to plan smaller trips every three months or so, since she can't go on longer vacations. Why do Indians forego their leisure so easily? Experts say it might have something to do with the feudal mindset of not wanting to displease the higher ups. At some companies, taking time off from work is almost seen as an affront to the employer. But this attitude is changing. "While some companies still have policies that discourage employees from taking time off, with more millennials coming into the workforce, this is set to change," says Devashish Sharma, Chief, Strategic Accounts & Alliances, PeopleStrong. Our survey findings show that middleaged people are the most vacation deprived. Only 64% of younger respondents (below 30 years) were not going on vacations, while 71% of those aged 41-50 years were missing holidays. Sreejith Nair, a Bengalurubased bank employee, has his priorities sorted out. 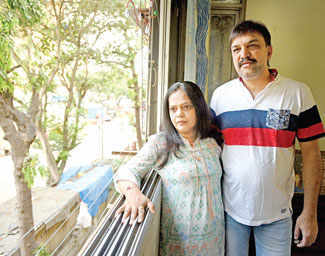 Nair travels frequently with his wife and parents and takes at least one 10-day vacation in a year. He also knows exactly how accessible he wants to be while on vacation. He's an avid traveler and plans vacations with his family, right down to the last detail. He sets a budget and starts planning 6-7 months in advance, and is careful to never overstep his budget. He uses his bonuses and surplus income for travel plans, but also has an SIP of ₹ 2,500 in a mutual fund set aside for travel expenses. "It's difficult to disengage from work altogether. To keep work from piling up, I check my mail once a day, but I don't take any phone calls," he says. His logic: it's much easier for colleagues to ask for his help on the phone, but if they have to compose an official mail, they often reconsider. This is not the case for most others. Almost 11% of the respondents to our survey answer all mails, take calls, and even attend concalls while on vacation. Another 58% answer urgent emails and emergency calls. Whether or not this is a good idea depends on how well you can strike a balance. 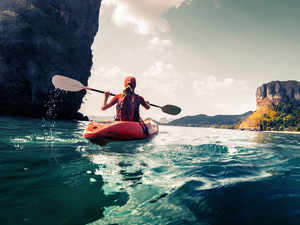 "If it stresses you out to stay connected while on vacation, avoid doing that. On the other hand, if you are able to have the time of your life with your kids while responding to that long email, go right ahead," says Kohli. Once you've got the leave aspect out of the way, the next big step is to plan your vacation. Planning and scheduling well can help you save a good deal on your vacation. Swati and Jayesh Dalal are avid travellers who plan their vacations well in advance to get the best deals. "We book our tickets and hotels at least six to seven months in advance to get the lowest fares and tariffs," says Swati. The Dalals manage to take an average of two vacations a year, each 7-10 days long. With careful planning, they are able to keep their budget under ₹ 1 lakh for each trip. Planning your vacation down to the last detail can help you save a good deal. "Once you decide on a destination, decide on modes of travel, local conveyance and accommodation well ahead. Check out local passes and discounts," says Jayant Pai, Head, Marketing, PPFAS Mutual Fund. They go on an average of two vacations a year, working around their work schedules and their son's college work. Their vacations span 7-10 days, and they start planning at least six months in advance to get the best deals. Their budget is around ₹ 1 lakh for each trip, for the whole family, and they rarely exceed it. Of course, the most important ingredient of the holiday plan is money. Even though Indians are good at saving, this is a mjor problem for those planning a holiday. Nearly 34% of the survey respondents said they were unable to go on vacation because they didn't have enough money. This is largely because many Indians don't consider vacations important and very few list holidaying among their financial goals. A simple solution is to fix a budget and start saving in a systematic manner. Putting a small amount away every month will not pinch but can build a corpus big enough for your family to enjoy a good holiday. Nair has an SIP of ₹ 2,500 in a short-term debt fund, which he liquidates when they are ready for the holiday. Ditto for Mahesh, though she invests in the riskier option of stocks. "Once we reach the targeted amount, we know it's time for a holiday," she says. If you are saving for a holiday 1-2 years away, the best option would be a recurring deposit with your bank. For greater flexibility, and possibly higher returns, you can opt for short-term debt funds. Short-term debt funds offer fairly stable returns and are not volatile. Keep in mind that you're saving for a short-term goal, not investing for returns. "The main aim of these vehicles is just to salt away the funds till you need it and ensure it is not spent on other things. You should not hope to make up for funding shortfalls through these," he says. The SIP route can also be used to plan bigger holidays for your family. If the holiday plan is more than 3-4 years away, go for options that have a dash of equities as well. These may be able to give you slightly better returns than bank deposits and short-term debt funds. The original article could be seen here. Is this the right scheme for you? © 2019 PPFAS Asset Management Private Limited. All rights reserved.